I always find it a fun challenge to come up with new ways to enjoy leftovers. 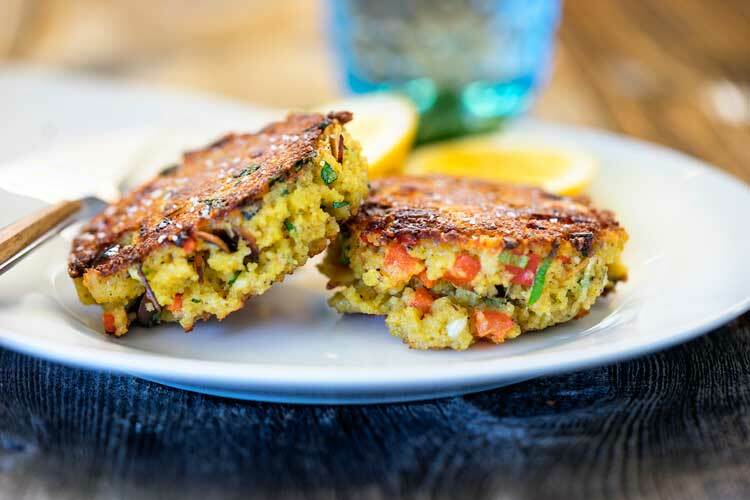 These Couscous Veggie Patties are superb, easy to make and a perfect side or lunch and can be on the table in about 20 minutes, too. Sound good? 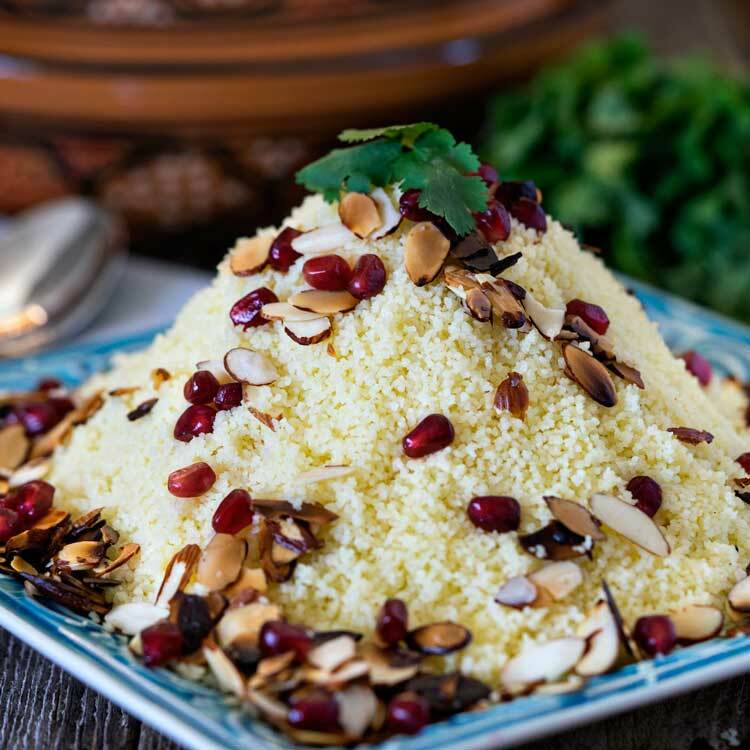 In today’s post I’m using up the leftover couscous from a recipe I recently posted, Almond Couscous with Pomegranate. 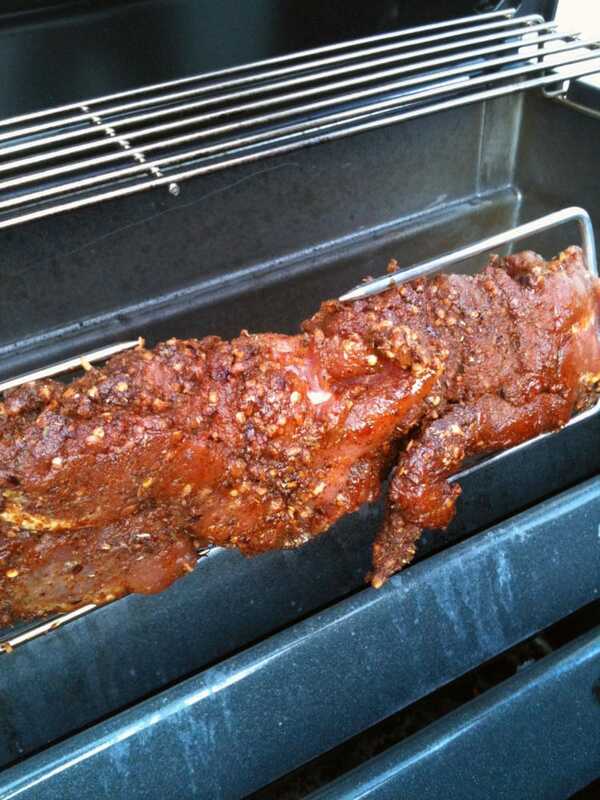 I am also using a spice blend that I’ve previously written a recipe for, Ras el Hanout. It’s a Moroccan spice blend that basically translates to “top of the shop”. If you were to go to a Moroccan spice merchant it would be his treasured spice to sell. 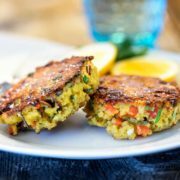 It’s my favorite spice blend for tagine recipes and works beautifully in these Couscous Veggie Patties. 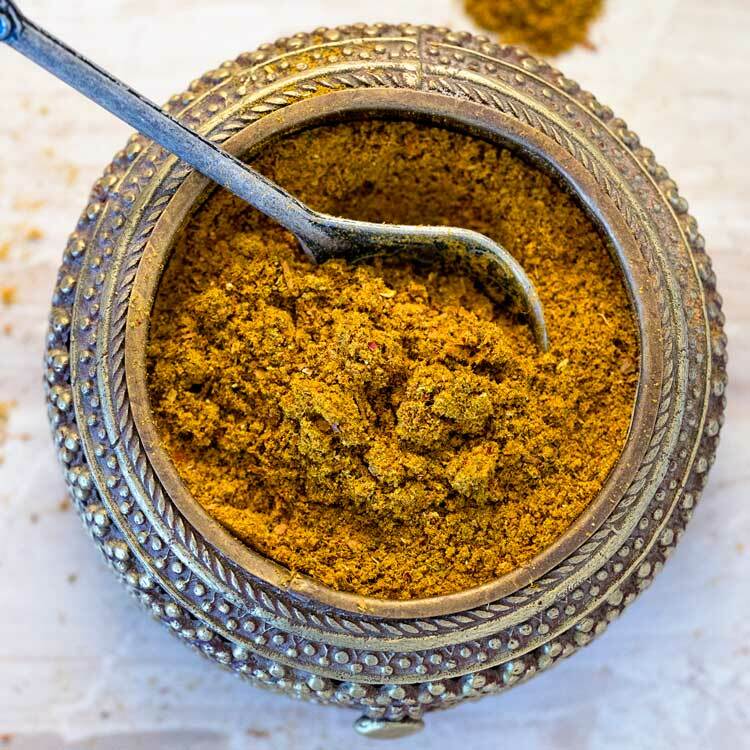 If you have not made the spice blend, can’t find it, or want a quick and easy substitute, you can use equal parts turmeric, coriander, ginger and a pinch of mint. While the original version contains many spices, mine has 15, it’s a killer one to have on hand for that “exotic” flavor. 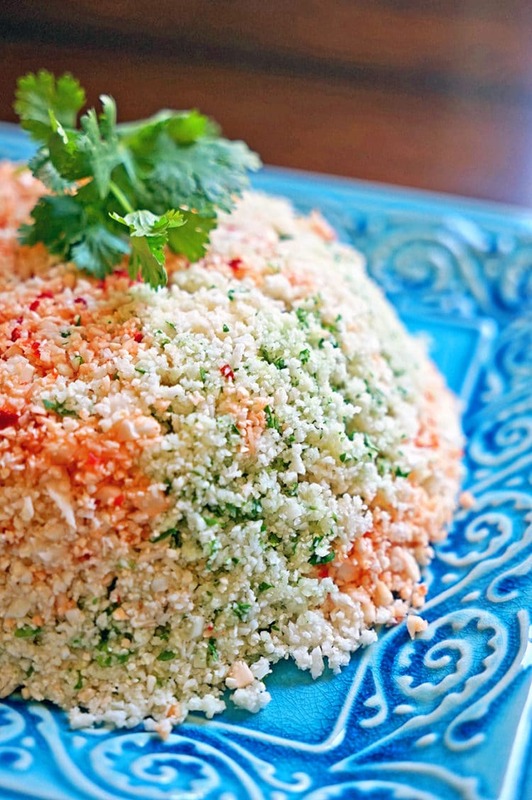 These couscous patties are packed with good things. Diced red peppers, green onions and parsley are in the mix, but as you can see I have sliced almonds and a few pomegranate arils from the original recipe. Play with this and add what you like. Just be sure they can be formed into patties that hold together. I use my ice cream scoop to make the patties and placed them in a hot skillet to get all crispy brown. Don’t over crowd it, we want these crisp and not steamed. A gentle press from a spatula helps form the patty after the one side gets sautéed a bit. 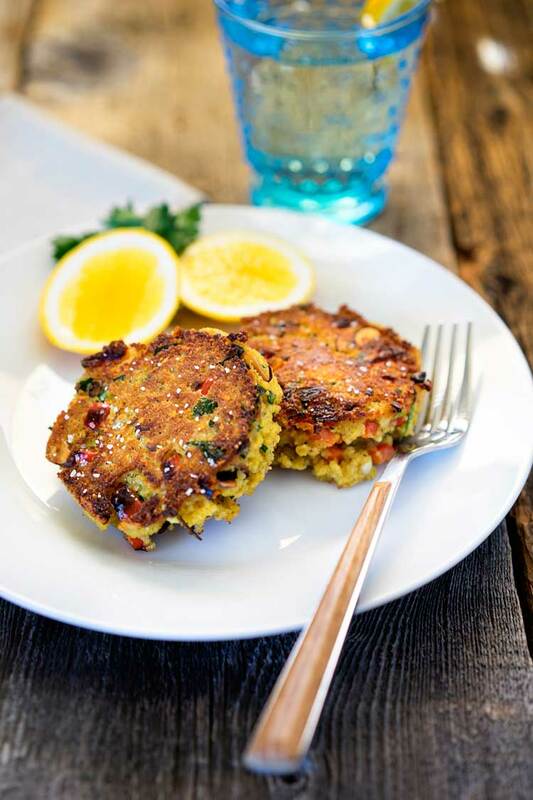 These a light and healthy lunch or perfect with a nice meal as a side. With a squeeze of lemon on top the flavor are exploding. The crispy, browned edges of the couscous, crunch of the vegetables and spices are a perfect way to escape to Morocco for a moment. At least in my mind. Enjoy! 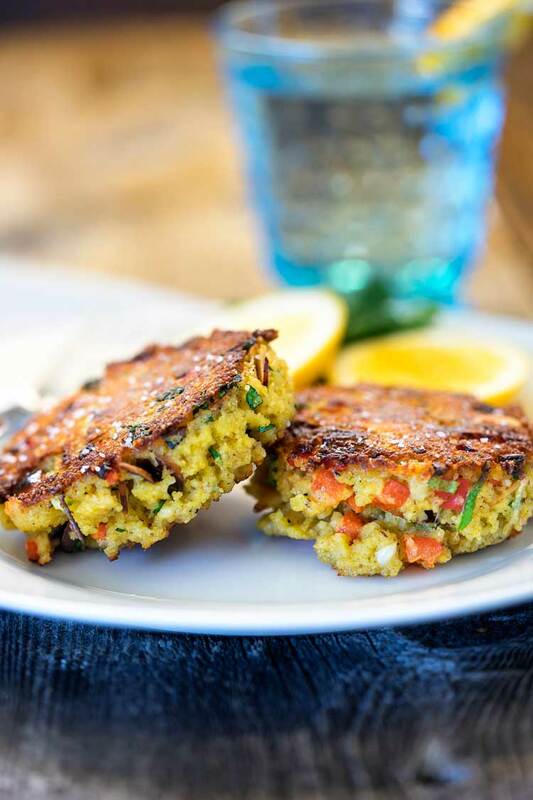 These Couscous Veggie Patties make use of leftover couscous, fresh diced vegetables and spices. They get a quick sauté until crispy brown and are served with fresh lemon as a side or lunch. In a bowl mix all of the ingredients up to the oil. 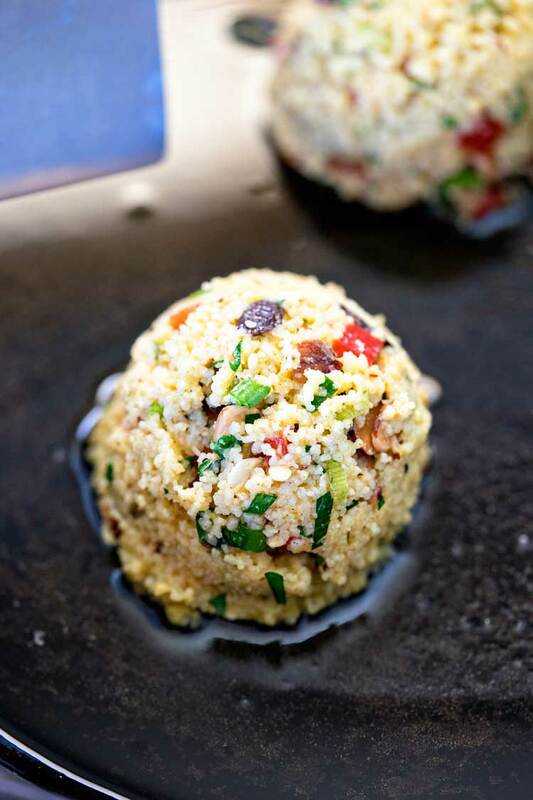 In a skillet over medium heat add the olive oil and with a scoop form the couscous and place in the pan. 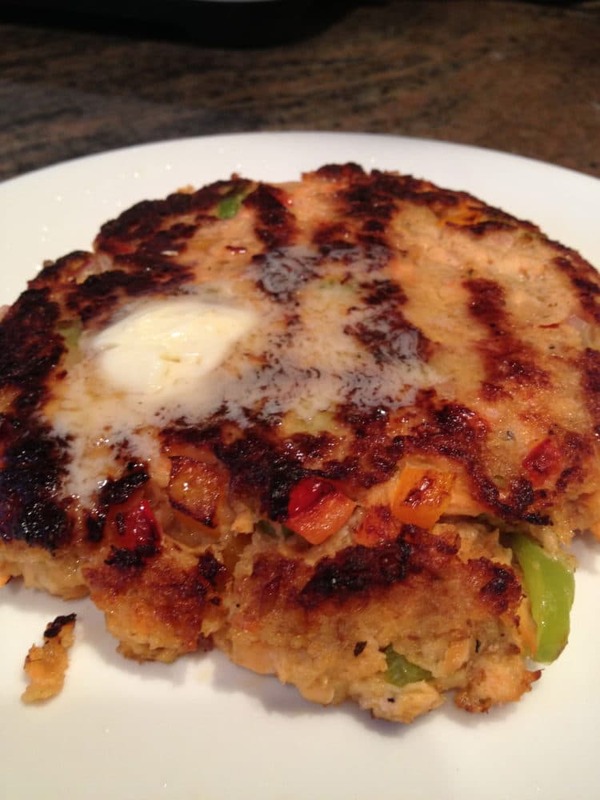 Allow to sauté for 2-3 minutes and gently press down to form a patty with a spatula. Sauté until golden brown and flip carefully. Cook for another 2-3 minutes. Remove from pan to drain on paper towel and season with kosher salt. Serve with slices of fresh lemon. I haven’t had couscous in years, kinda went overboard. Would quinoa work just as well? I’m intrigued by this spice blend – might need to give that a try! Thanks for the fun, unique recipe. The only thing I would change is adding one more egg. They fell apart a bit but they were delicious! I added a chili paste to the top to give it a kick of heat. Or perhaps substituting the red pepper for a jalapeño! Great recipe! So glad you tried the recipe, thanks Rebecca! That looks delicious enough to do it even if you don’t have leftovers! 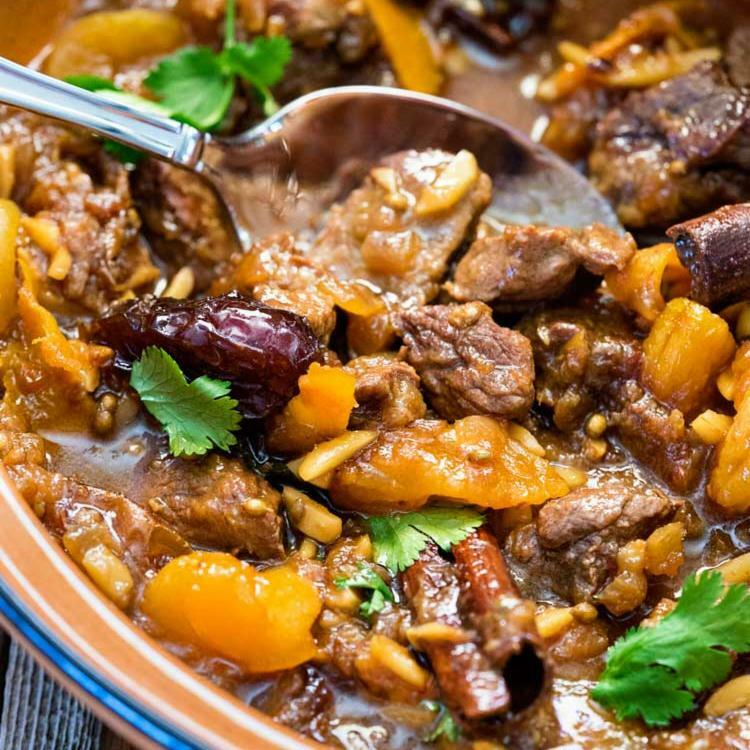 I love ras el hanout and keep it in my cupboard. I also love anything in patty form and can’t wait to have some leftovers. Then again maybe I’ll make cous cous just for this! There you go, just make up a batch, you won’t be disappointed Abbe! Thanks for stopping by, have a great weekend. What a great idea! 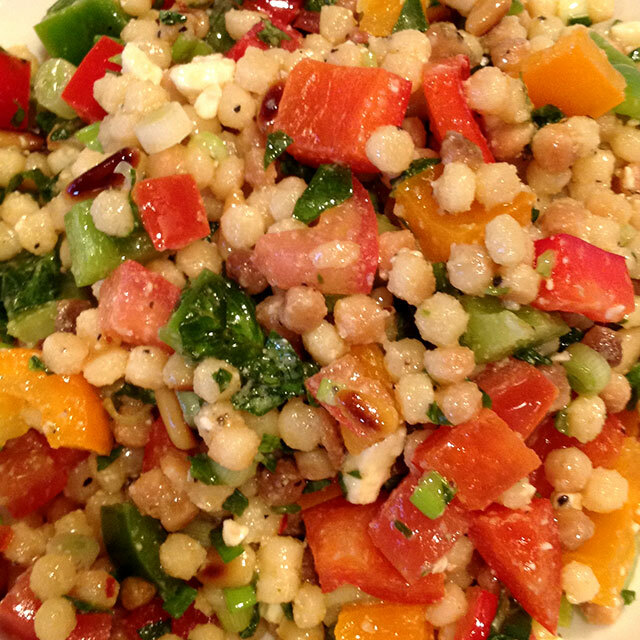 I have only ever had couscous as a side dish or in a salad but I’m defiantly going to try making these. ??? ?